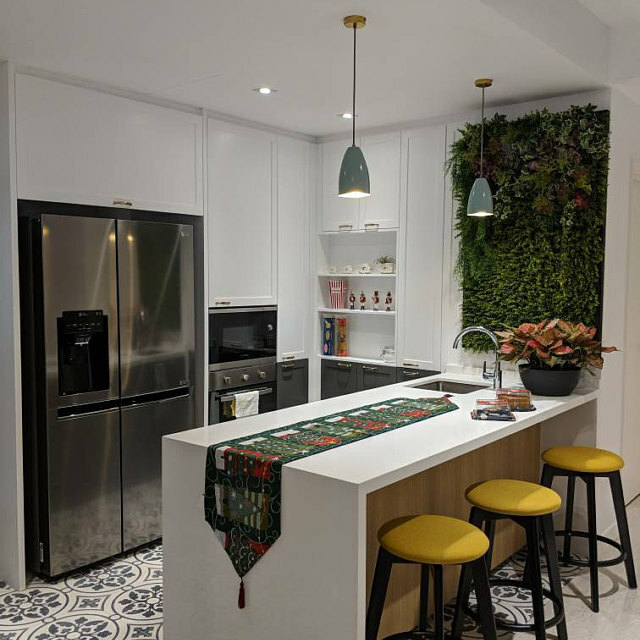 I'm starting these blog posts to help you guys with planning your space and this is a question I often get - what height should I hang my pendants over my dining table/ kitchen counter? At Spark and Bell, we always welcome you giving us your customised lengths for your pendants, so to save you or your electrician time in shortening cable lengths, have a quick measure and let us know when you order. We would highly recommend sitting or standing at your space, and with a measuring tape have a play with heights, keeping in mind the light you want to buy for the space. With our fabric cable lights, you can easily adjust when you get them, by loosening cable grip. However with our brass stem lights, it's important to get it right from the start!